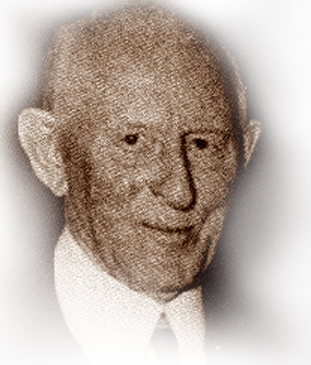 Frank McBerty began his career in telephony with the Western Electric Company in 1887. He served the telephone industry abroad and in the U.S. for 63 years. During that period, he was granted more than 400 patents on telephone and telegraph systems and equipment. With Western Electric, he became in charge of development of the Patent Department and was chief engineer for Western Electric in Europe. In Europe, he was active in the sale, manufacture and installation of exchanges in Norway, Sweden, Denmark, Holland, Great Britain, France, Germany and Switzerland, as well as Australia and New Zealand. While there, he directed developments of the Rotary Dial Automatic System which was widely used and known as the McBerty Rotary System. He also helped develop the first printing telegraph system and the DeFodrest vacuum tube, the forerunner of radio. Returning to the U.S. in 1917, McBerty helped reorganize North Electric Manufacturing Company, serving as vice president and chief engineer and then president in 1921. He continued the development of automatic dialing system that permitted conversion of small and isolated telephone exchanges. He was an inventive genius who devoted long hours to research, development and improvement of the relay system of dial automatic switching. He died in 1950.